News reported on Tuesday that the Inspector General of Police (IGP), Ibrahim Idris, ordered the dismissal of the Plateau State Police Commissioner, Undie Adie, with immediate effect, some 48 hours after the murder of more than 100 people in Barkin Ladi, Riyom and Jos South Local Government Areas of the state. According to a new TheCable report, the police IG has reinstated Undie Adie as Plateau's state police commissioner. In a statement issued on Wednesday, Terna Tyopev, a spokeswoman for the Plateau police, said that Ciroma had returned the command to Adie and had returned to the headquarters of the force, Abuja. Tyopev explained that the deployment of police officers is done at the discretion of the IGP. 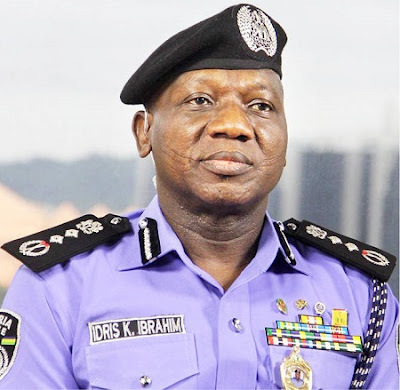 "Inspector General of Police Ibrahim Idris has reversed the previous deployment of CP Udie Adie to force the headquarters, Abuja to return to the command of Plateau State, Jos," the statement said. "Police commissioner CP Bala Ciroma has delivered and returned to the headquarters of the force in Abuja. "Furthermore, it is the reasoning of the inspector general of the police, Ibrahim Idris, that CP Undie Adie understands the terrain better, so he must stay and drive the boat out of the tides. "The state commander of the Nigeria Police Plateau, Jos, wishes to inform members of the public that the movement and deployment of police personnel is at the discretion of the police inspector general and is a normal routine in the force".